Love tennis? 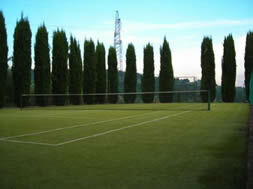 A shared tennis court, shared pool in the grounds of your Italian villa or farmhouse apartment. Take a look at properties and check availability online. Any questions? Contact us here. Poggiluglio, just 300m walk from San Gimignano, Tuscany. 3 apartments each sleeping 2 people. All the features of a country house (large outdoor area, panoramic views, swimming pool, tennis court) yet only a short distance away from the centre of San Gimignano . N.B The property owners live on site and have 2 very nice and quiet German shepherds running free in the grounds. Availability. Prices . Book Poggiluglio here. 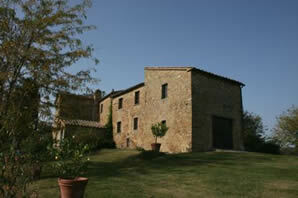 FATTORIA POGNI, 7 units with shared tennis court and pool. Rental prices from Euro 600 per week. Certaldo, Tuscany. LA VALLE. 7 apartments with shared tennis court and pool. Just 1 km from the small town of Montaione with all kinds of shops etc. 45km from Florence. PITIGLIANO, Southern Tuscany. Swimming pool and tennis court on-site. The property is divided into 8 units. 7 are rentable to guests, the keyholders live in the 8th. Ideal for large groups as it is possible to hire a spacious common room with kitchen (oven, freezer, dishwasher), dining area, fireplace and toilet (extra charge). 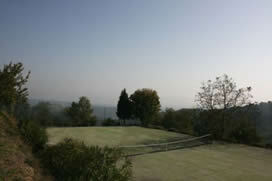 AGRITURISMO BEVIGNANO, four apartments with tennis court, table tennis and pool. Rental prices from Euro 390 per week. Monte san Savino area, Tuscany. Castelletto, near Sinalunga, Tuscany. 18th century residence (comprising 6 units) in the Siena area. Swimming pool with diving board, plus children’s pool. Tennis court. Large groups can dine together in Villa Limonaia, in a large room at the garden level. Professional kitchen on site (available on request). Wine cellar / tavern. Distance from town of Sinalunga: 2km. Rental prices from Euro 490 per week. Rigoletto, near Montaione, Tuscany. 5 units quietly located near the small town of Montaione. Sleeps 22 in 11 bedrooms. 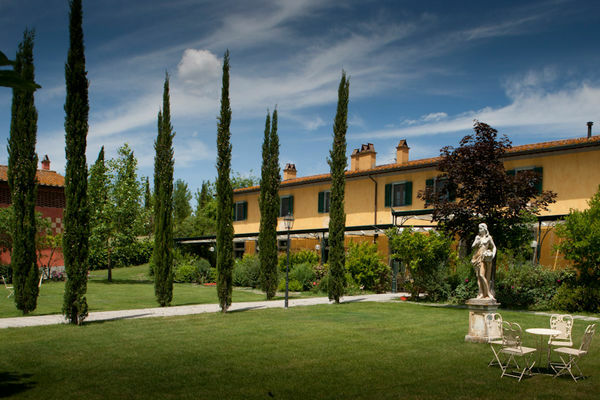 This property is part of a large farming estate producing wine, olive oil, saffron and “cinta senese” prosciutto and salami. Swimming-pool (14 x 7m) and children’s pool (depth 0,50 cm). Concrete tennis court. Casa Guia, near Bucine, Tuscany. Casa Guia has shared pool, tennis court and table-tennis. 1 of the apartments is in our programme. Rental prices from Euro 920 per week. 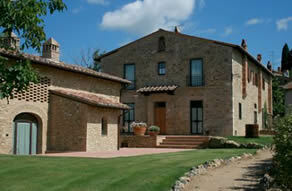 Montaione, with fenced swimming pool, 2km from Montaione, Tuscany. Sleeps 26 in 13 bedrooms, 13 bathrooms. Swimming pool + baby pool. Tennis court / soccer pitch. Small lake with picnic area. The property is divided into 5 apartments. Stunning interiors. Rental prices from Euro 980 per week.